In the midst of the season of awards and new appointments to recognise and reward scholarly achievement, we have been truly thrilled to receive news of significant successes for a treasured group of talented partners and contributors. We could not be more delighted to announce that Women’s Early Modern Letters Online [WEMLO] has won the ‘Best Digital Scholarship, New Media, and/or Art of 2016’ Award from the Society for the Study of Early Modern Women [SSEMW]. As many of EMLO’s and WEMLO’s users and followers will be aware, WEMLO was created in 2013 — initially with British Academy/Leverhulme funding and with support from the Cultures of Knowledge research project — as a scholarly resource for the early modern women’s correspondence held within the EMLO union catalogue and as a discussion forum and meeting place for scholars of early modern women letter writers. Co-directed by Professor James Daybell of Plymouth University, and Dr Kim McLean-Fiander of the University of Victoria, B.C. [UVic], WEMLO set out with a mission to ensure that the epistolary voices and trails of early modern women became more easily discoverable. On the back of a series of workshops convened around scholars who work on women’s correspondence (during which the views of participants were solicited and discussed), WEMLO’s dynamic duo concluded that a distinct scholarly meeting space was required to meet the needs of researchers of early modern women. However, they recognized also that, while the unanimous wish was for female letter writers to be more discoverable in the historical record, it would do early modern women no favours and be of little help to today’s scholars were they to be confined to a female-only resource. What these scholars wanted was to have the means to search for female writers of letters alone as well as to search for them alongside their fellow male letter writers. In response to WEMLO’s findings, EMLO worked with James and Kim to made a number of key changes in the union catalogue’s discovery interface. And thanks to this inspiring trans-Atlantic collaboration, we’re particularly proud that W/EMLO’s users are able now to browse in the union catalogue by gender (in any combination of sender, recipient, and person mentioned), to search for specific women’s correspondence, and to pull up just the rapidly expanding list of women’s catalogues. We’re also extremely glad to witness WEMLO’s accomplishments being recognized and honoured with this award. The Society for the Study of Early Modern Women is a network of scholars who meet annually, sponsor sessions at conferences, maintain a listserv and a website, give awards for outstanding scholarship, and support one another’s work in the field. Both EMLO and Cultures of Knowledge extend hearty congratulations to James and Kim for their vision and foresight, and collectively we’d all like to thank W/EMLO’s developer Mat Wilcoxson for his hard work to bring into being the technical solutions that meet so well the needs of WEMLO’s scholarly community and make the initial vision a reality. On a related note, we’re equally delighted to be drawing to the attention of W/EMLO’s users the cluster of correspondence catalogues for the six Dutch seventeenth-century Stadholders’ Wives, and in particular that of Albertine Agnes van Oranje-Nassau. Albertine Agnes was the wife of Willem Frederik van Nassau-Dietz (1634–1696) and she has the distinction of being the first female ruler to assume the stadtholdership as Regent. 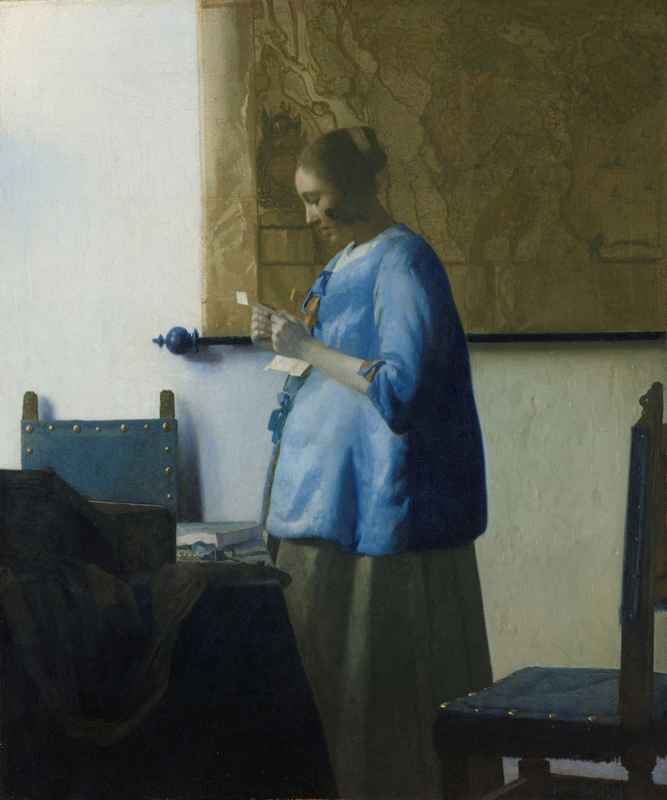 Her catalogue has expanded this week by an additional 357 letters and you will find now a current total of 781 letters (many of which are linked to images of the manuscripts hosted at the Royal Collections [Koninklijke Verzamelingen] in The Hague). Collated by Dr Ineke Huysman of the Huygens ING, and assisted ably by Bettina Heyder, who has recently completed an internship at the Frsyke Akademy under the direction of Dr Hans Cools as part of her work with these letters, this catalogue contains a correspondence that diplays the diplomatic skills of Albertine Agnes and is characteristic of the qualities of many of the extraordinary letters to be found in WEMLO. Dr Huysman has just taken up an appointment to the Committee of the Society of Court History in richly deserved recognition of her achievements and proof (if proof were needed, which of course it is not!) of the relevance of the work of today’s scholars who focus on the lesser-known yet rewarding voices of early modern women. This entry was posted in Uncategorized on October 25, 2017 by Miranda Lewis. Cheney Culpeper was born into the Kentish gentry. His father Thomas, who was educated at Hart Hall, Oxford, and at Middle Temple, had been elected Member of Parliament initially for Rye in 1597 and then for Winchelsea in 1601, the year of Cheney’s birth. From his family seat of Greenway Court, Hollingbourne, Sir Thomas (who was knighted by Charles I in 1619) began to expand the family’s cluster of properties. The prize acquisition of Leeds Castle, Kent, came with its purchase from the executors of Sir John Smythe (d. 1632).3 Yet it was with this addition that the Culpepers’ domestic and financial problems began to take hold. With Cheney’s marriage to Elizabeth Stede on 24 October 1632, Sir Thomas settled the castle and its estates upon his elder surviving son (who had himself been knighted by Charles I in 1628). In two letters written twelve years later, Cheney Culpeper informed Hartlib he had been in receipt of £500 per annum and was the beneficiary of £3,000 at the time of his marriage.4 In 1641, however, he had fallen seriously ill and, in the expectation he would not survive, had ceded his properties — including Leeds Castle — and their management back to his father. Against all odds Sir Cheney recovered but by the time he regained full health the political situation had worsened and in consequence the family was divided: father took the side of the King, son that of Parliament. Sir Thomas refused to restore control of the Leeds Castle estate. Severe financial difficulties ensued for both men, political events took further turns for the worse, and the rift between father and son deepened. As the events of the civil war unfolded, Sir Thomas’s properties became subject to sequestration and he appeared before the Parliamentary Committee for Compounding on 30 April 1646. Whilst attempting to regain his own estates, Cheney Culpeper had to deal with creditors both for his own debts and for those of his father. He wrote to Hartlib on 29 October 1646 of his ‘vnhappy condition in a Father whose actions driue wholy to my prejudice, it takes away that contente & joy which I myght take in the Fortunes which God & nature had caste vpon me’,5 and on 4 November of the same year that his ‘domestique affaires doe howerly rise into such a storme as (I feare) my anchor, & cable will hardly holde’.6 The situation did not improve, even though Leeds Castle (which had been used as a munitions’ store during the civil war) was returned to Cheney Culpeper on 21 October 1651. Yet some three years after this, Hartlib mentioned to Robert Boyle that ‘Sir Cheney complains more than ever, that his father hath utterly undone him’.7 Cheney Culpeper died a debtor in London following the Restoration of Charles II and just fourteen months after the death of his own father Thomas. He was buried in Middle Temple on 2 April 1663. As Braddick and Greengrass observe, Culpeper has been interpreted as the voice of the ‘voiceless’. He can be seen as representative of ‘men who, more often than not, never raised their voices to speak publicly across the centuries, who did not publish theories, or make set speeches in Parliament, but who were nevertheless the angry men in Parliament and behind Parliament, the men who, from behind, struck down their lukewarm, politic, legalistic, aristocratic and clerical leaders and pushed on, over their bodies, to destruction.’8 Trevor-Roper’s description may be over extreme when applied to Culpeper, who is to be found in these letters engaging with Hartlib on a plethora of levels and a wide range of altruistic subjects of shared interest, and Braddick and Greengrass point out that the exchange between the two men provides an ‘important example of the slow, empirical fashion by which agricultural improvement took root in the English countryside in the seventeenth century’. They observe also how Culpeper’s commitments ‘grew out of, and around, his social networks’. These networks included the people he met at the Middle Temple; people with whom he shared his Kentish roots; and the circle around Elizabeth Stuart and her fellow exiles from the Palatinate — and, of course, amongst those in London sympathetic to the Palatine plight was Samuel Hartlib. Culpeper wrote to Hartlib of their friendship: ‘I can truly say that I often rejoyce in that hower in which (by a meere occasionall readinge of Dr Gaudens sermon) Gods prouidence brought me to your acquaintance, & hath synce & dothe still by it bringe me to the acquaintance of others.’9 Hartlib records their first meeting in his Ephemerides: ‘The 13. of April acquainted with Sir Cheney Culpeper at one Dr Smith’s house a Dr of Phyisick in Shoe Lane at that part of the lane towards Holborne’, upon which occasion Culpeper committed the sum of £5 to Hartlib (probably into the fund for Comenius’s visit to London). Through the epistolary conversation that took place over the course of a decade, it is possible to chart Hartlib’s endeavours and aspirations: education, politics, news, plans for Hartlib’s ‘Office of Addresse’, and innovative technical developments, including ‘Felton’s engine’ — all were discussed.10 This correspondence makes for a fascinating read and it is well worth taking the time to follow the links out from the records in EMLO to the invaluable edition published by Braddick and Greengrass, as well as those to the Hartlib Papers on the Digital Humanities Institute, Sheffield, where you will find both the manuscript image and a transcription for each letter. Savour these letters. They are both rich and rewarding. This entry was posted in Uncategorized on October 19, 2017 by Miranda Lewis. 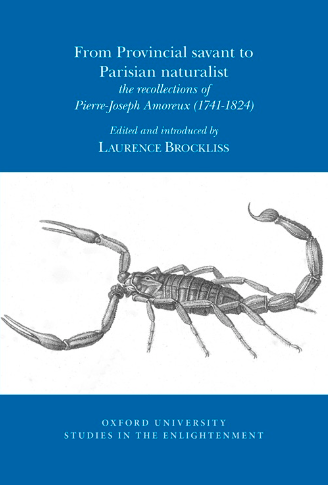 We are delighted to pass on news of the first-ever publication of the autobiography of the eighteenth-century ‘man of science’ Pierre-Joseph Amoreux. From Montpellier, Amoreux was a Linnaean naturalist, an agronomist, and a bibliographer who played an active role in the scholarly community known as the république des lettres. Born in 1741, the earlier decades of Amoreux’s life spanned the extremes in France of the ancien regime and the Revolution, while his later years bore witness to Napoleon’s rise, rule, and fall, and the subsequent Restoration. This entry was posted in Uncategorized on October 11, 2017 by Miranda Lewis. 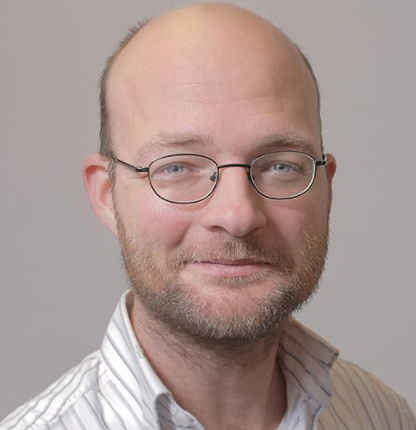 For those intrigued by the European Research Council [ERC] project Sharing Knowledge in Learned and Literary Networks (SKILLNET): the Republic of Letters as a pan-European Knowledge Society (the subject of my previous post and announced recently through the COST Reassembling the Republic of Letters Action), it may be of interest to read what the project’s principal investigator Dr Dirk van Miert has kindly shared with us — in the form of a series of compelling questions — about the three funded doctoral positions open at present for applications. Wouldn’t it be wonderful if we could analyse the Republic of Letters as if it were some kind of blogosphere, a social network in which each letter serves as a “link” between two people? What would such a network look like over the course of hundreds of years? How many people were involved? Did this number increase or decrease in size? Was the network bound more tightly in certain regions rather than others? How did sub-networks or small worlds relate to the larger network? What were the sub-cultures of those small worlds? Did people build a communal identity through shared interests in, say, medical subjects or theological questions? Or did they share a language, a regional background, or were they perhaps of a similar age? And if some sub-networks have different structures (in terms of the level of connectedness), does that mean that knowledge was shared more or less easily? With entire ego-networks becoming available in accelerating numbers (witness the promising pool of metadata of letters that is being collected in EMLO), we can start moving beyond personal networks to study the structure of the Republic of Letters over time and space, allowing us to reach a more much precise history of the vicissitudes of the most resilient self-conscious international network of the early modern period: the Republic of Letters. In 1983 Benedict Anderson wrote that “all communities larger than primordial villages of face-to-face contact (and perhaps even these) are imagined”. So what about the Republic of Letters? This is indeed a returning topic in discussions of the Republic of Letters: did it really exist? Wasn’t it all a wishful phantasy of literati who retreated into their studies and looked away from the polemics and pamphlet wars that were a permanent, and perhaps even a structural, feature of the learned world in early modern Europe? The question is valid, but mal posée: the Republic of Letters was a palpable reality, because there was a social network of thousands of people who related to it. In other words, the Republic of Letters was an “experienced community”, and hence a very real one. The marvellous e-Pistolarium of the Huygens Institute in The Hague allows us to mine digitally a set of twenty thousand learned letters. It appears that in the vicinity of the phrase “Republic of Letters”, letter writers use most often the words “public”, “good”, “time”, “way”, “spirit”, “maximum”, and “profit”. But what more can we learn about this idealistic discourse for sharing knowledge? What other terms were used? When, where, and why were these employed? Did the ideal experience crises? Such are the manifold and complex questions emerging at the heart of this project. Should you find an alignment with your own intended research and wish to apply for any one of these positions, you have until 20 October 2017. Meanwhile, here in Oxford, we’re looking forward enormously to working with SKILLNET. Submit an application and you too could form a part of the dynamic and digitally equipped twenty-first century network as it sets out upon its ambitious and wide-ranging journey. This entry was posted in Uncategorized on October 4, 2017 by Miranda Lewis.